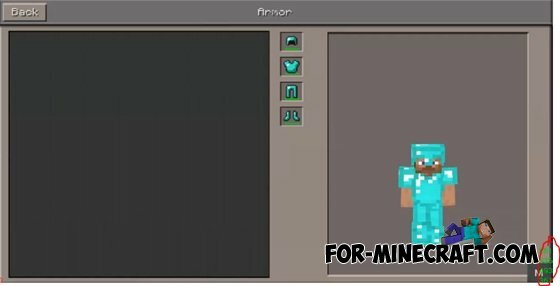 This script has a new GUI objects and durability of armor. If you attack a mob with a sword, the amount of the durability is reduced if you are attacked by mobs only armor strength is also reduced if the number reaches zero, it means that your item / armor is broken. Status durability weapons can be found in the lower left corner, and the status of the durability of the armor in the lower right corner.